Victoria Nuland has become somewhat of a notorious figure after she was spotted in Kiev last year handing out buns and cookies to Ukrainian protesters in Maidan. Ahead of the latest episode of civil strife, this time in Armenia, Nuland gave her blessing to a new US Ambassador to Armenia, Richard M. Mills, Jr., former Deputy Chief of the US Mission in Beirut and also Senior Democracy Advisor at the US Embassy in Baghdad. Washington apparently had good reason to change the head of their diplomatic mission in Yerevan: According to reports by several US envoys to the region, including Ms. Nuland, the US policy in Armenia in recent years has been much less successful than in other post-Soviet states, especially in Georgia and Ukraine, of course. Nuland brought along with her representatives of the Pentagon, whose mission was to undermine the Russian-Armenian agreement (according to which Armenia cannot host the infrastructure of third countries without the consent of Russia). However, according to the State Department, Armenia has to seek weapons overseas. She also tried to teach Armenians the best way to counter corruption and, at the same time managed to effectively lobby the sale of the Vorotan hydroelectric power complex to the Americans. This deal has great political significance since it pushed for the diversification of the Armenian energy sector, which is almost totally owned by Russian companies. Actually, it is the start of the entry of American influence into Armenia – much to the chagrin of Moscow. But, like so many of Washington’s foreign policy adventures, this one turned out to be pretty clumsy. Millions of American dollars benefited Armenian corruption, rather than the energy sector. Several months after the $180 million Vorotan deal a 16 percent hike in electricity prices was announced, which lead to massive protest in the capital city of Yerevan. This was a piece of cake for the creators of the so called ’colored revolutions’. Armenians had been protesting over price hikes for decades, but this time all indications pointed to this scenario being written abroad. The slogans very quickly changed to political, the national flags above the heads of demonstrators to the starry-blue EU pennants. Remember: “Ukraina tse Europa!” - the famous Maidan slogan in Kiev last year that promised the Ukrainians paradise under the new US sponsored government. Ambassador Mills too, didn’t sit on his hands. As soon as thousands of angry demonstrators took to the streets of Yerevan, erected barricades and clashed with police, numerous US-funded NGOs started spreading the word that the main reason of all the troubles was Russia. Protests were trending under the social media hash tag #ElectricYerevan, which all of a sudden appeared to become almost as important in Armenia as Charles Aznavour! At the same time, editors of major independent media, especially Russian-speaking ones, were called to visit the US and UK embassies, where they were lectured on how to report on the events properly! Political analysts immediately noted that the protests in the streets of the Armenian capital resemble the first stage of the ‘color revolution’ we’ve seen in the past in Ukraine, Georgia and Kyrgyzstan. 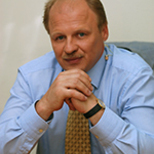 Head of the International Committee in Russia's upper house of parliament, Konstantin Kosachev said: "It's no use deluding yourself; all 'color revolutions' have developed along these lines." Armenian President Serzh Sargsyan acted fast. All people arrested during clashes with the police were released within hours. But the US Embassy in Yerevan “expressed concern” about reports of excessive use of force by the police and urged the Armenian government to conduct a thorough investigation. Sargsyan ordered his government to compensate the price hike until a special commission investigated the situation in the national energy market. But the demonstrators were not ready to compromise. It was a decentralized networked protest that preferred ultimatums. The protest did not have a political leader and was not even backed by political parties, but very quickly the political component become dominant, its target being the Armenian government. Armenia was pushed to choose between East and West, North and South, between the Russian Federation and the European Union – the impossible choice that Ukraine – now being torn apart in a bloody civil war – was forced to choose. The "universal formula" effectively used by the Americans in Tbilisi and Kiev should have worked once again in the streets of Yerevan. But it did not. The Armenian president appeared to be different: he could go on a hard but effective compromise with the opposition. The slogan "Armenia is … something, other than Armenia (Turkey, Azerbaijan, Iran or Europe)" is totally unrealistic. Which is not understood in Washington, where the political elite today truly believes that the most cherished dream of any country in the world is to become another United State. This is wrong. And this is why American political and social technologies are not at all universal. Even the “Little Steps” - their favorite know-how - didn’t work in Yerevan: when the protesters came forward with an ultimatum to move their barricade forward a yard a day towards the Presidents palace, the police made a Big Step and simply dispersed the demonstration. And it proved to be quite a popular step in the neighborhood, sick and tired of the endless traffic jams of the last couple of weeks. The Armenian government was smart enough to make its final move on the night, when all the Anglo-Saxon media was following the OXI referendum, forcing the US to choose their priority: Securing the NATO bases in Greece, or trying to get another one in the Caucasus. Or, maybe not… The foreign factor that during the events in Ukraine led the Orange Revolution to the "Twitter" top and made a global information trend, too, did not play into the hands of the opposition in Armenia. 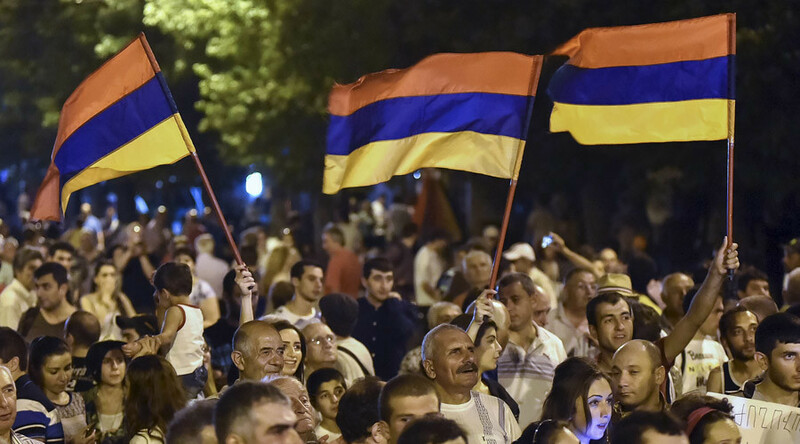 As a matter of fact, street protest has long been part of Armenian political culture. They hit the streets in 2008, unwilling to accept the election results, and later, trying to save the city parks from demolition. But they never went over the top, respecting the social laws and common sense. "Many are tempted to use the current developments in Armenia, in order to whip up anti-government sentiment, although the root of these events was purely economic," Lavrov said. "For some, apparently, it seems useful to go further and develop these processes in a political way."